CLICK HERE FOR 2019 SCHEDULE! All practice times will be 3pm to 8pm. We will hold sign up open up to race time for all races!!!! We know that some have to work so we will have sign up open late and make sure you get a couple laps of practice in before you race no matter what. 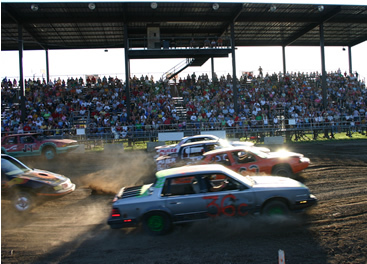 Lake county fair August 2 & 3, 2018 (race) Indiana *Sign up at 2 practice 4 race at 6. Please note the Time Zone. Your home of the Michigan and Northern Indiana State Fair Super Cross Championship! 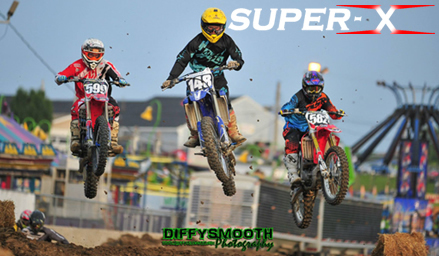 We organize, conduct and promote super cross motorcycle racing at county fairs across the State of Indiana. All levels of racers participate, from pee wee's to pro's. This is a State Championship Series with points being paid out at each event. Our race program offers plenty of track time for the racers on a safe yet challenging super cross track. Spectators enjoy a non-stop, fast paced, exciting show!